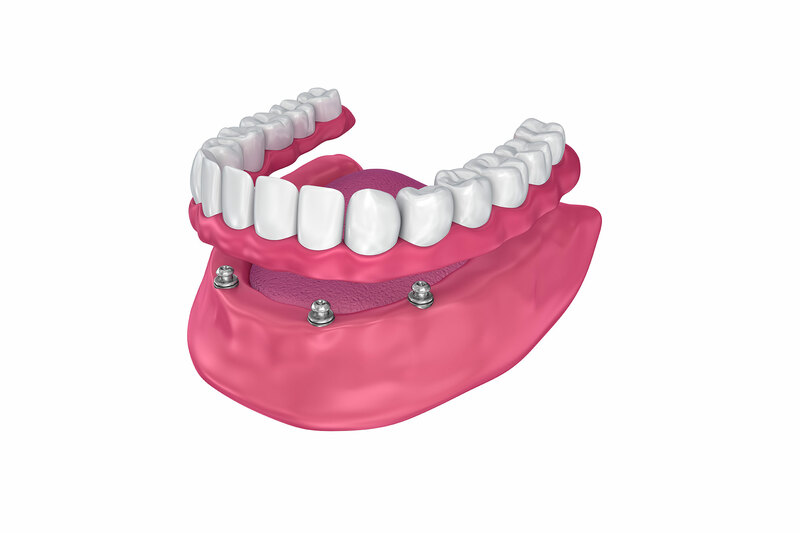 Implant overdentures is a cost-effective alternative to traditional dentures. In general, if you are healthy enough to undergo a tooth extraction, you are a candidate for South Gables Dental’s spectacular treatment. Are implant overdentures right for you? Typically, if you’re dissatisfied with your dentures due to discomfort, or have severely damaged teeth that cannot support a fixed or removable prosthesis, you are a good candidate for overdentures. Traditional implants are often uncomfortable and loose-fitting. Overdentures can be placed on top of dental implants, which can add significant stability compared to traditional dentures. With an absence of teeth, traditional implants can increase bone loss that occurs. The cost of overdentures has significantly been reduced over the years and the surgical protocol has been simplified to efficiently and promptly secure implant overdentures. Studies have revealed that patients of implant overdentures have a higher satisfaction level compared to those of traditional dentures, and a general improvement in quality of life. We’d love to discuss how our implant overdenture procedure can greatly improve your quality of life. Please call us below or click “make an appointment” to make a dental appointment today at our Coral Gables office!